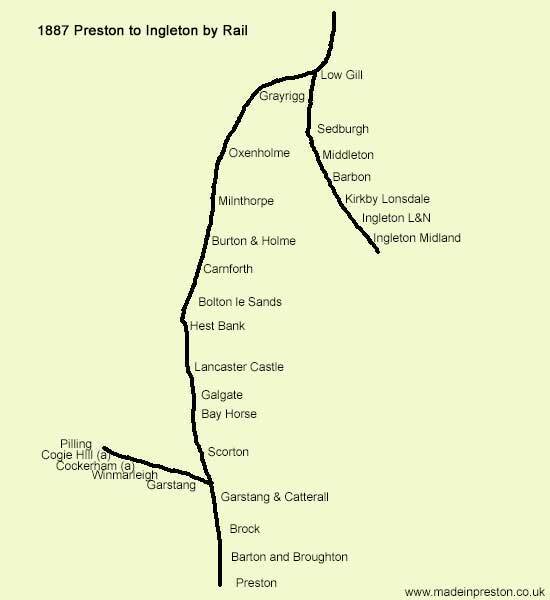 The 1887 Rail timetable between Preston and Carlisle with option to travel to Pilling from Garstang and Catterall or to travel to Kirkby Lonsdale or Ingleton from Low Gill Junction. 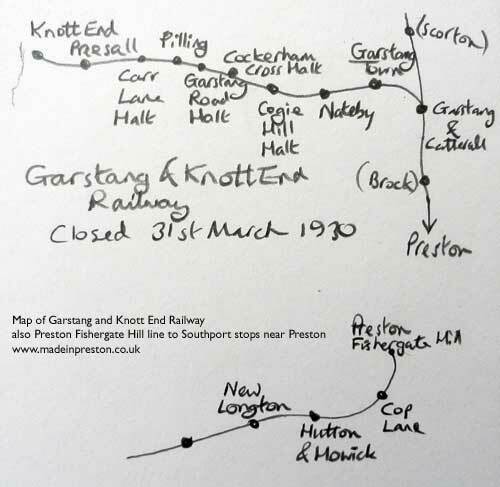 Garstang and Catterall 08.13 Change for Pilling see below. Lowgill Junction 10.11 Change for Kirkby Lonsdale see below. 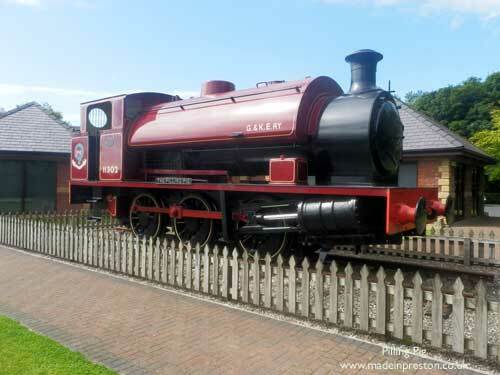 The Garstang and Knott End Railway locomotive was affectionately known as the Pilling Pig. Here it stands outside a holiday home site at Pilling.